Robotics plays a growing and critical role in digitization of healthcare sector. Application of robot based technology in medical industry has emerged beyond manufacturing or industrial robots itself in recent years. Medical robots are used for assistance in medical transportation & telepresence, sanitation, disinfection, and prescription dispensing. These features are attracting the global market towards the adoption of medical robots for healthcare industry. Industry players are spending on R&D to develop robotic systems that can treat major injuries. 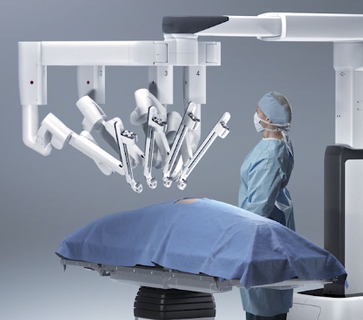 The major focus of R&D is to provide reliable and safer robotic systems for patients. For instance, Titan Medical has introduced SPORT, a surgical system to help surgeons in treating severe sport injuries. This device has 3-D high definition vision system and multi-articulating instruments for performing surgery as well as assisting on surgeon’s workstation. Companies like Verb Surgical, joint venture of Johnson & Johnson and Google have invested around USD 250 million in developing faster and easy to use medical robots in the near future. Apart from big industry players startups are also investing in research & development to provide better medical facilities with the help of robotic technology. The global medical robotics market size is projected to expand from USD 4.26 billion in 2016 to USD 22.61 billion 2024. The market is estimated to grow at a CAGR of 23.2% during the forecast period. Growing ageing population in developed & developing countries and globalization of healthcare is raising the demand for medical robots. Large elderly populated nations such as Japan have already developed a number of medical robots that assists in initial advent of dementia and help older people. Features like better precision, faster procedure and safer surgical procedure provided by medical robots are gaining traction which is likely to encourage the expansion of medical robotics business globally. However, high costs of surgical robotic procedures, surgical systems, and rehabilitation exoskeleton are restraining the growth of medical robotics market. Lack of awareness about advance robotic solutions and lack of technically skilled personnel are also hindering the market growth. Also existing market players are already investing to improve their medical robots so that it can be available at reasonable cost. This can create challenges for startups in medical robotics market to establish brand image and to introduce cost-effective medical robots.